A week ago I bought the much hyped Nikon D300 camera and since then I have been playing around with it in the streets of Boston. I have to say that I am extremely impressed by the camera. Together with my vibration reducing Nikon VR 18-200 mm lens this camera is a killer in low-light conditions like inside the Boston Public Library. I have compiled a slideshow of pictures - some of which have been shot as high as ISO 3200 without obvious noise! 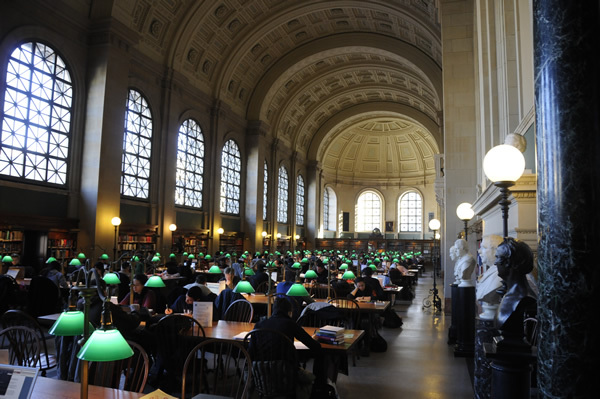 Have a look of the slideshow of Boston Public Library, views from the Prudential Tower and Beacon Hill here.